Searching for your next vehicle to take on the D’Iberville, Gulfport, and Hattiesburg, MS, area can be an exciting time. 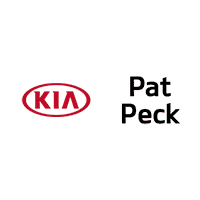 Here at Pat Peck Kia we’re dedicated to delivering our drivers a fun and educational car buying experience, which is why we provide a used car dealer near you guide, to make the journey that much easier. We’ll discuss our pre-owned vehicle inventory, financing options, and more, so you can feel confident in choosing us for your used car buying journey! Our used vehicle inventory consists of a variety of different body styles including sedans, coupes, SUVs, and trucks, so no matter what you’re searching for, you should be able to find it on our lot. Our team of friendly experts will be happy to sit down with you and discuss the features that are most important to you, in order to get you in the best car for your lifestyle. Our financing department is ready to work with you and your budget in order to get you on the right fiscal path towards vehicle ownership. 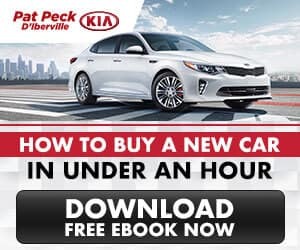 We’re happy to discuss the benefits of leasing vs buying, loan options, and to answer any questions you might have regarding the car buying process. Before you even step foot into our dealership, you can utilize some of our online financing tools like the Payment Calculator, which can give you an estimate for what your monthly payments could be. You can also apply for financing and get pre-approved right here online, with our Finance Application. For those looking to trade in their current vehicle, check out our Value Your Trade Tool, to get an estimate for its worth. Our goal is to have you confidently driving off the lot after purchasing your used vehicle! Check Out Our Used Car Dealer Near Me! If you’re interested in checking out our extensive new car inventory near D’Iberville, Gulfport, and Hattiesburg, MS, for yourself, stop by our dealership today! Until then, you can check out the areas we serve and the services we offer. Just click on the city near you to learn more about our financing departments, used inventory, and service centers provided at our used car dealers near you.